New research led by Dr. Hsiao-Huei Chen reveals that a protein called IRF2BP2 plays an important role in controlling anxiety in mice by influencing microglia, known as the immune system of the brain. Microglial cells can do many things, including fighting infections, promoting inflammation, gobbling up damaged or unwanted brain cells and encouraging healing. IRF2BP2 calms down the microglia and promotes healing over inflammation. 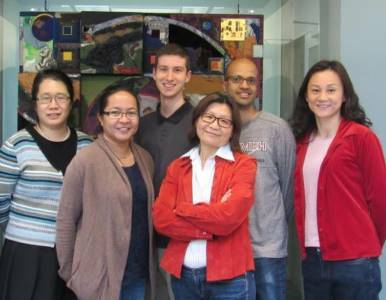 Dr. Chen and her colleagues created mice that lacked IRF2BP2 in their microglia and measured their anxiety in different situations. They found that while extra maternal care reduced anxiety in normal mice, it had no effect on the mutant mice. They also found this effect was related to the level of inflammation in the brain, and to an inflammatory mediator called prostaglandin D2. See Scientific Reports for details. Funding: This research was supported by the Natural Sciences and Engineering Research Council of Canada, The Ottawa Hospital Foundation, the Heart and Stroke Foundation of Canada, the Canadian Institutes of Health Research and the University of Ottawa Heart Institute. Affiliations: Dr. Chen is a member of the Neuroscience Program at The Ottawa Hospital, the University of Ottawa Brain and Mind Research Institute and the Heart and Stroke Foundation Canadian Partnership for Stroke Recovery.